Blade Material: 440 Stainless Steel. Blade Thickness: 3.5mm. 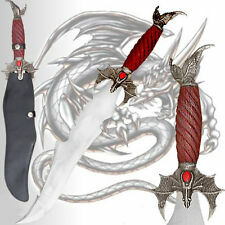 Blade Features: Fin Serrated Spine, Trainling Point. These policies are used as guidelines. You will receive one new in the plastic. 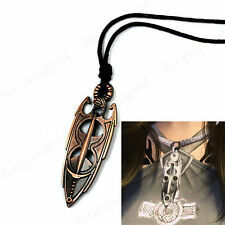 Cosplay Amulet of Mara one of my favorite quests in the Elder Scrolls V Skyrim THE BOOK OF LOVE. Dovahkiin Mask. 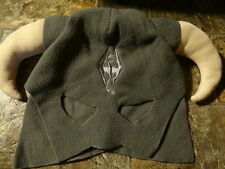 Use this mask to wear while playing Skyrim so you can feel powerful. Skyrim Collectors Edition Alduin Dragon Statue and Base only. Condition is Used. Shipped with USPS Priority Mail. Bethesda Softworks partnered with Aslin Beer Company, Downtown Crown Wine and Beer, and Dominion Wine and Beer to create these three Elder Scrolls-inspired beers. This was a very limited run of 100-200 cases of each beer, available only in two stores. You are purchasing one each of the three cans made. These are 1-pint cans. They are empty and have been rinsed. They will be packed carefully for shipping. The cans are: Night Mother's Blood - Gose Ale brewed with raspberries and dragonfruit. Paarthurnax - Hazy IPA brewed with Southern Passion and Southern Aroma hops. Sweet Roll - Imperial Stout brewed with cinnamon, vanilla, maple syrup, brown sugar, nutmeg, and milk sugar. Lords of the Daedra Hardcover Book SKYRIM The Elder Scrolls LOOT CRATE RARE NEW. Condition is New. Shipped with USPS Priority Mail. Elder Scrolls 5 V Skyrim Collector's Edition Leather Game Designer ART BOOK. Condition is Used. Shipped with USPS Priority Mail Padded Flat Rate Envelope. You are purchasing one each of the three cans made.These are 1-pint cans. They are empty and have been rinsed. The cans are Night Mother's Blood - Gose Ale brewed with raspberries and dragonfruit. The Elder Scrolls 4 IV Oblivion V Skyrim Morrowind Daggerfall Uriel Septim COIN. Condition is Used. Shipped with USPS First Class Package. Came from collector’s edition. Bethesda Official The Elder Scrolls V: Skyrim Lords of the Daedra Book Brand New. Condition is New. Shipped with USPS First Class Package. Skyrim Action Figure No Box. Condition is Used. Shipped with USPS Priority Mail. Skyrim Collectors Edition Alduin Dragon Statue--STATUE ONLY. Condition is Used. Shipped with USPS Priority Mail. Elder Scrolls Anthology Map - Province of Skyrim 21" x 16"
Ships with molded foam. ELDER SCROLLS V SKYRIM ALDUIN DRAGON STATUE BETHESDA SOFTWORKS. Condition is Used. FedEx SmartPost. PayPal only. If sealed, we do not open the boxes to inspect the item, so we will not be held responsible for any manufacturer defects. The Elder Scrolls Series Skyrim Symbol. Pendant Necklace with 20″ Chain! You are buying a New Dovahkiin Mask taken directly from the Best Buy exclusive Skyrim Dragonborn Special Edition. Enjoy your Dovakiin Mask! 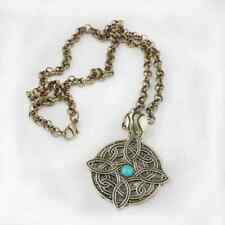 Skyrim Elder Scrolls Luminous amulet enjoy the skyrim dragon amulet in real life! a beautiful high quality necklace. I use the highest quality glow in the dark materiel. zinc alloy and is just cool to have. Get your dragonborn on with this replica of the Dovahkiin helmet! Dragon soul not included. -Mini replica of the Dovahkiin helmet -3 inches tall -Stand included Official Bethesda Merchandise. New in box. Feel free to message me if you have any questions. Box may have some minor damage or shelfwear. Please message me if you'd like photos before shipping. Helmet inside will be undamaged. Check out my other listings. I combine shipping! Just add all your desired items to your cart and request a total from seller. I will send you an updated shipping price. The Elder Scrolls V Skyrim Map Frame. Province Of Skyrim plus Dragon statue. Condition is Used. Dragon Priest Mask Variant is limited to only 250 pieces, and was a Quake Con exclusive. Hand numbered base. Dressed in hand-tailored fabrics. Brand New, Never Used. See pictures for details. GET IT FAST ~ US SHIPPER We combine shipping. Just add Items from our Ebay Store, to your cart and request an invoice. Take a look at all the amazing deals on our Ebay store at http://stores.ebay.com/retrotime. Be sure to sign up for our Email list and News Letter to make sure you don’t miss out on our great sales.